I picked a great pair tonight! The fine, fine people at BnB Tobacco sent me some cigars to review, and with the weather on the Lido Deck finally back to cigar smoking temperatures, I was able to grab one for tonight’s tasting, paired with a nice Belgian-style ale from The Bruery. I have to admit I reached past this stick in my humidor several times because it just didn’t look like much. Oh, the construction is fine and the dark wrapper looked tasty enough, but the cigar band is a little lame. The logo looks like something one might create if they were designing a label from stock clipart. In fact, the “Undercrown” name is printed backwards on one side of the band. There is not even an indication of the grower unless you put on your best reading glasses and look for the tiny “Estate” moniker on the band. I was thinking BnB had sent me some White Owls or something. What a sleeping beauty. The first couple of puffs were a little harsh, but this stick moved into its groove immediately with a taste I can only describe as creamy chocolate. Medium to 3/4s full in body, with a perfect draw and burn. For some reason, I have had a bad streak of cigars lately in terms of the burn, having to burn them back down to even with my torch lighter when they start looking more like a spoon than a cigar. I don’t know; maybe I smoke crooked or something, but it really made me appreciate the perfect burn of this Undercrown. Not the most complex cigar I’ve ever had, but a very pleasant experience. I give it a 91 on The Morris Scale. Thanks BnB for turning me onto this very worthy stick. Well I don’t know if I’d go so far as to call it an “amazing creation”, but it was very good. I kept puffing, sending the smoke in all directions to see if anyone would be “drawn in” as represented, but to no avail. But in fairness I was alone on the Lido Deck, so the smoke really would have had to travel. How does this stuff escape me? I attended a Carrillo Cigar function at Maxamars in Orange, California, and while there asked if there was a good place to grab a beer in the area. In turns out that The Bruery has an amazing place called The Bruery Provisions right at the Orange Circle. I’ve been to the Bruery’s actual brewery in Placentia, but did not know they had a shop much closer to me. 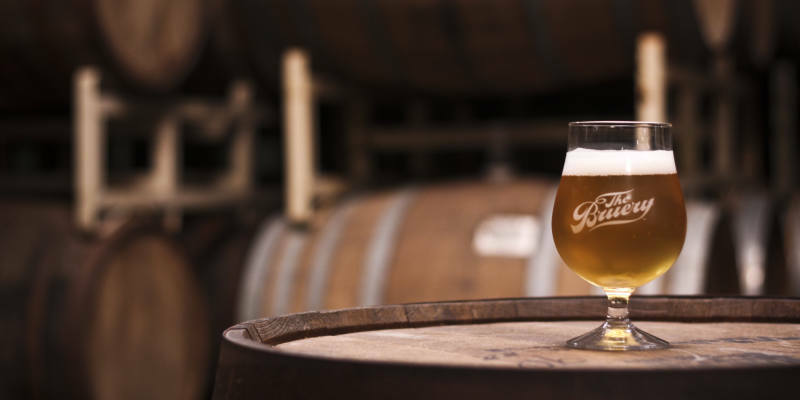 It not only sells The Bruery’s fine craft beers, as well as offerings from many other breweries, but it has special offerings available only at this location, and Go Team! is one of those. I sat down for a flight of five sample beers, and Go Team! was one of my favorites. I took home a 750 ml bottle (two, actually) for an official tasting on The Lido Deck. It pours a dark amber with a large light tan head. The nose consists of bread and grapefruit. The taste mirrors the smell, with bread and citrus, and a little apricot. Although Belgian ale in style, this has the drinkability and carbonation closer to a lager. Judged as a Belgian, that might make it a little thin to some, but I really liked it. This would be a great starter to steer your non-craft beer drinking friends to something with taste. I give this one an 86 on The Morris Scale. Eight dollars for a 750 ml bottle. ABV is 4.7%. Use code "BBB" at check-out for 10% discount! Beer, Motorcycles and Cigars — Beer, Bikes and Butts is proudly powered by WordPress and WPDesigner.